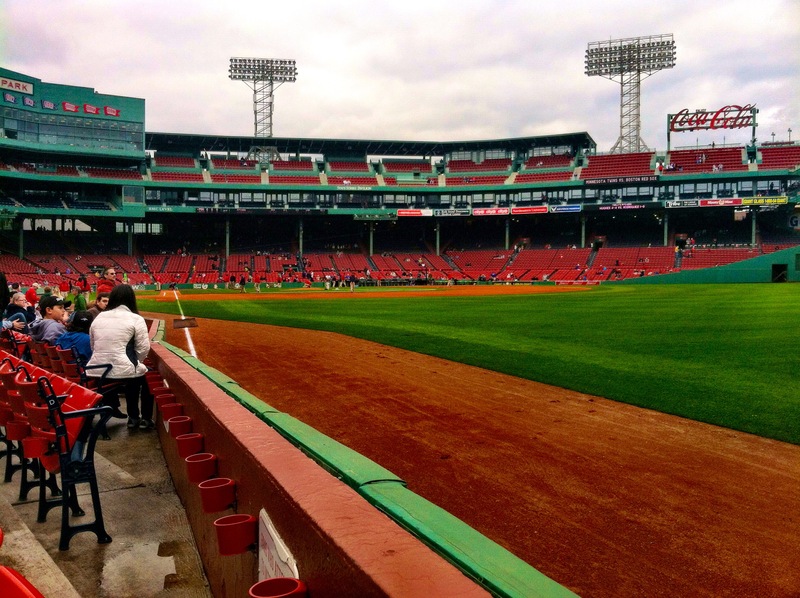 So I got tickets to the Minnesota Twins vs Boston Red Sox’s game at Fenway. Seems like a no brainer when you’re traveling around the country and your team happens to be playing at one of the oldest, most iconic ball parks in the MLB. I bought tickets ahead of time for fellow Dirtbag Runner Kelsey and I to cheer on our teams. I have to mention that this all kind of started back on opening day when Kelsey posted a photo of her outside of Fenway Park. She didn’t go to the game but rather ran there to support Boston. I then made the comment to her that if Minnesota was in town when I rolled through town in the van we had to go a game. To my surprise I was a week out from the Twins being in Boston when I was in Cape Cod. My options were simple….miss the game or venture into central Mass (which was going to happen anyway). Tickets were bought for Monday nights game….Central Mass here I come! Cue the rainstorms. It started raining on and off over the weekend. Sunday night into Monday morning was none stop rain. As Monday went along it was overcast with no rain leaving the deception the game would be played. Assuming the game was still a go, Kelsey’s boyfriend Sam was keeping an eye on the seats next to us throughout the day. The tickets hit a really cheap price so he snagged them up quickly! Still not raining, I was starting to make my way toward Sam’s place to beat traffic in to Boston. As I was driving I heard on sports talk radio that the game was postponed and moved to Wednesday afternoon at 1:35pm. This was a total bummer cause both Kelsey and Sam could not make the make up afternoon game. I quickly tried to figure out how to make this right. I was still going to go to the game but wanted to get at least Sam’s money back. Quickly realizing selling wasn’t an option as any baseball fan knows, afternoon makeup games are low turnout. Donating them to an organization came to mind. So, I contacted the local Wounded Warrior Project out of Boston. After talking with Ben from WWP he was pretty sure he could line up at least two folks to go. As game time rolled around Wednesday I got word that no one from Wounded Warrior Project was available to go to the 1:35pm game. I walked around outside of Fenway and couldn’t find anyone willing to believe I had free tickets to give. Instead of fighting the scalpers and non believers I decided to just go in solo and enjoy the experience. My bestfriend and I have started a routine / tradition when we go to Twins games. Check out our seats, walk the Ball Park, get a hot dog and beer, and go back to our seats. Low and behold when I got to my seats there were twins fans watching batting practice. Having almost the whole row, I asked the dad and his three sons if they wanted to sit with me and cheer on the Twins! 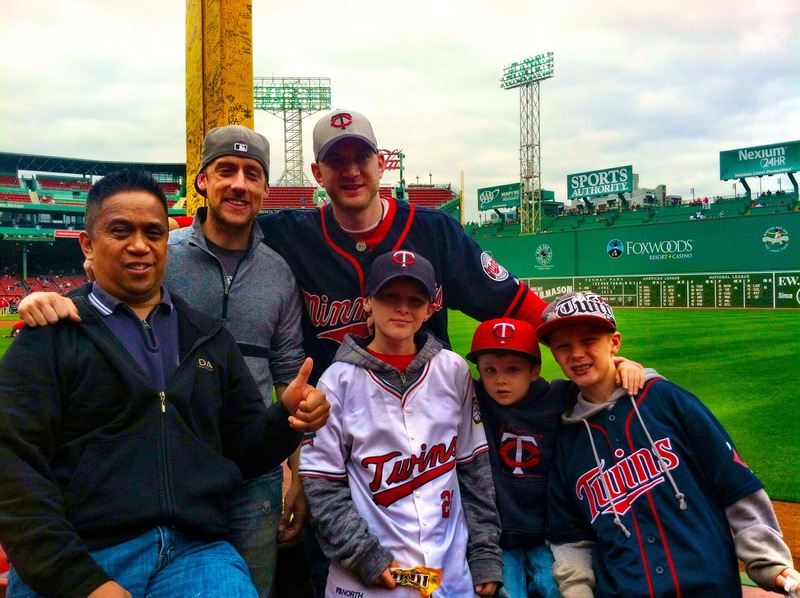 They were stoked and I now had a Twins entourage to hang out with during the game. Go Twins!! The Twins lost the game but it was still a great experience. The seats were great! Front row in right field next to Pesky’s foul pole. Highlight of the game was when we got a chest pump and point from Tori Hunter as we cheered for him from our seats. Boston Fans are pretty hilarious and friendly. 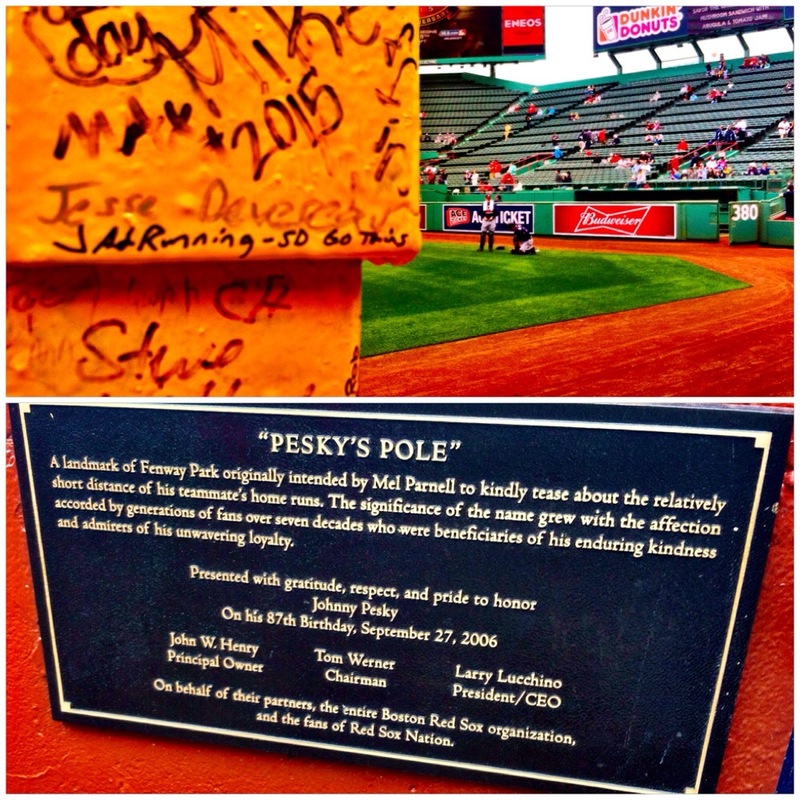 Us twins fans signed Pesky’s Pole and a few Bostonians haggled us, fans came to take a picture of the pole, and one man came to rubbed his new shirt on the pole for good luck…too funny!